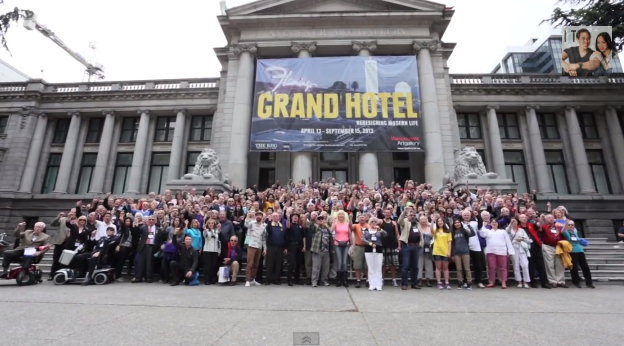 Rotarians from District 5050 filming a flashmob in support of Rotary’s End Polio Now campaign on the steps of the Vancouver Art Gallery. Michelle and Jordan, Facilitators at District 5050’s first ever “RYLA for Rotarians” at the iRotary conference downtown. The iRotary District Conference this year marked the 25th anniversary of Rotary District 5050. 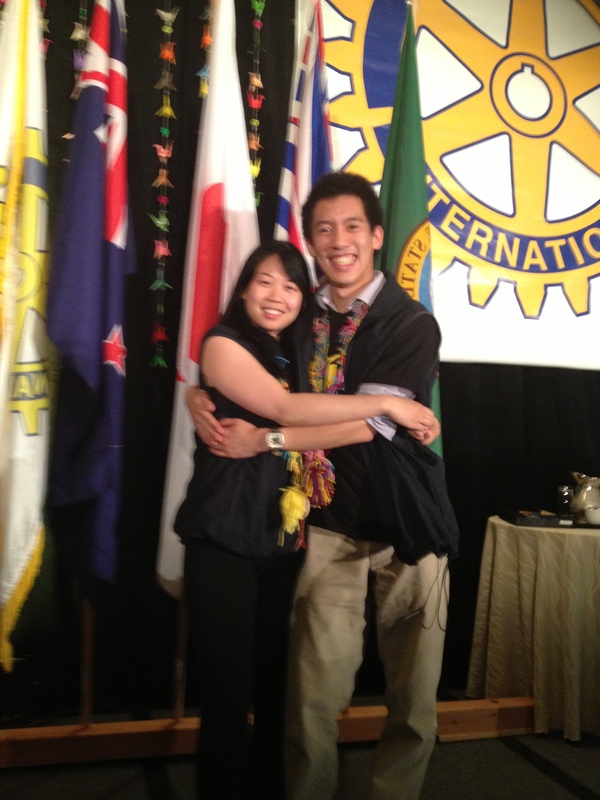 A four day event held at the Four Seasons Hotel in the heart of downtown Vancouver, one of the conference’s themes this year was focusing on the “iGeneration” – the younger members of Rotary. To go along with this, a team of past participants and Facilitators from previous RYLAs (Rotary Youth Leadership Awards) and YAILs (Youth Adventures in Leadership – the district’s “junior” version of RYLA for high school students) were invited to co-facilitate the district’s first-ever “RYLA for Rotarians” on Saturday, June 1. The purpose of this was to give Rotarians a better understanding of what RYLA and YAIL entail, and to encourage them to continue sponsoring outstanding young men and women from their local communities to attend these life-changing programs. Among the mini-Facilitators were Jordan and Michelle, members of our club and a Facilitator and participant, respectively, at RYLA 2013. Following the RYLA for Rotarians session, a flashmob on the stairs of the Vancouver Art Gallery took place to raise awareness about Rotary International’s “End Polio Now” campaign. With only a handful of cases of polio left around the globe thanks in part to the vaccination efforts of Rotarians, we truly are as close to ending polio as the video states! Check out the video below, or click here to watch it directly on YouTube.